As you may have heard, PYM came to unity at Annual Session in August to continue the paid Youth Program Coordinator position along with its Supervisory Committee. PYM also agreed to accept a large gift of money from Pacific Friends Outreach Society (PFOS), which is laying itself down. This gift will be held by PYM as the Bob Vogel Endowment to support youth programs, and our Youth Program Committee will supervise the distribution of income generated by the endowment. 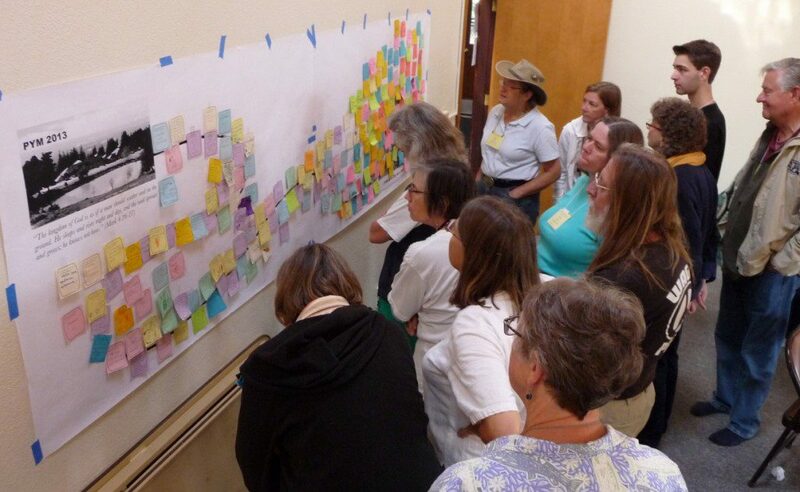 Since Annual Session, our committee has been discerning next steps while we also continue to provide program support to Monthly Meetings, Worship Groups, Quarterly Meetings, PYM Committees, Quaker organizations, and individual Friends. This is a visioning year for us, with three active subcommittees working on big picture questions of resource support for youth programs and activities (including distribution of endowment income), improving communications, and developing a long-term personnel structure now that the pilot period has been completed. We hope to have a draft of our resource-support application available at Representative Committee meeting in March and to have our first funds available in summer. In this process of visioning, we take as our starting point a sketch created during the first full day of Annual Session: in an intergenerational plenary activity conducted by our committee and our co-clerk Mary Klein, over a 100 participants envisioned PYM as a “City on a Hill.” Friends of all ages considered a giant paper mural depicting the path to this City of our hopes and dreams. We wondered and talked about, “What will it be like when we get there? What will we need to bring in our knapsacks for the journey?” We pasted notes and drawings onto the paper mural, painting a multifaceted picture of a loving, vibrant, multi-generational community of faith, fun, and service. Later that evening, about twenty of us gathered in an interest group to study and reflect on the responses. 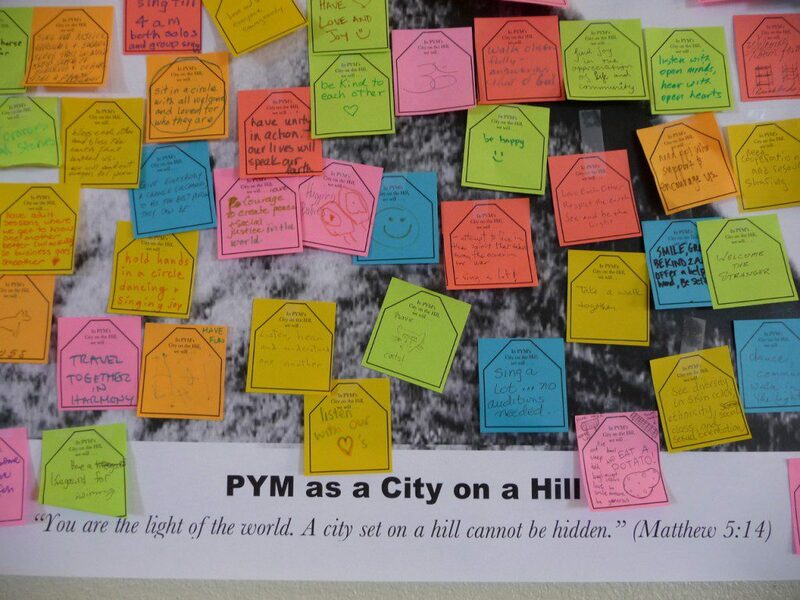 Our Youth Program and M&O committees are both now drawing on that information to strengthen our PYM community at Annual Session and throughout the year. Although we hear statistical and anecdotal reports of declines in our Meetings’ enrolled membership, we also see stirrings of a vibrant future. Babies, seekers, and newly convinced Friends continue to arrive. Young children quickly grow into the double-digits. New teens soon become leaders of their programs, pass their roles to next year’s group, and leave high school for work, college, and adventure. Adults grow, too, supporting each other to become better allies to youth and each other. Nominating Committees look for meaningful ways to match the skills and interests of younger Friends with the needs of their Meetings and organizations. Do you know someone you could encourage to attend a local or regional Friends’ event? Or someone who has an unrecognized gift to offer? Perhaps a young Friend might be open to some gentle nudging to seek clearness about membership or a leading. How about young parents who need peer fellowship, mentoring, or rest? Any elders who would like to make new friends? The building of our City on a Hill (or eco-village, as the case may be) requires us bringing out the strength and light in one another. While our Youth Program Committee works to bring this vision to life, as Coordinator I continue to provide support to and promote participation in existing programs and activities while encouraging new innovations. For example, a few days before Annual Session, twenty-five young adults (and a handful of older ones) converged at San Jose Meeting for a weekend of fellowship, fun, service, and worship. 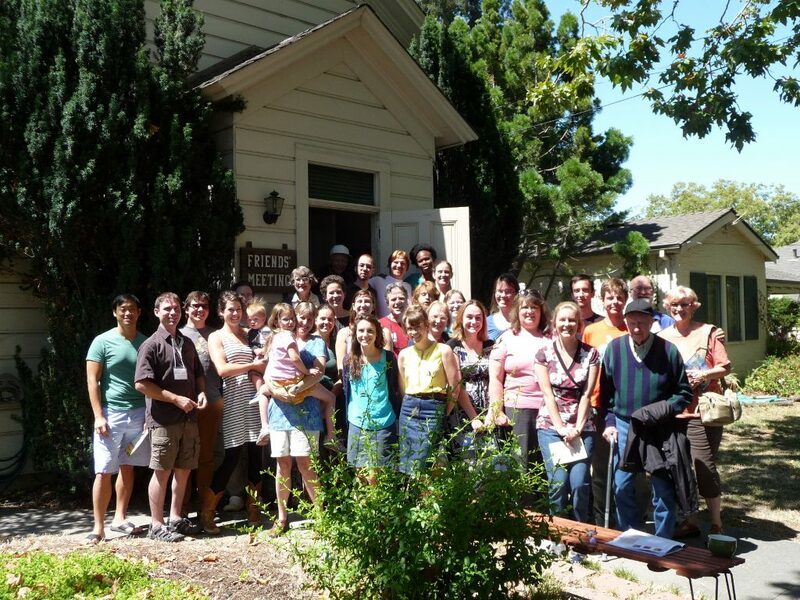 Together, we reflected on the theme of the pending Annual Session – Being Reached by the Life – and began to contemplate the deep meaning of “leadings.” We volunteered at Veggielution, shared meals, played games, and sat in waiting worship with San Jose Friends, who welcomed having young Friends outnumber them in the oldest meetinghouse in the Western US. Recently, I met with the middle school aged children of Sacramento Meeting and two of their adult allies; we made skits about the Meeting, one focused at the children’s peers and one at older people. In a similar activity, adults at Humboldt Meeting created skits about the life of their Meeting “as it is now” and “as it could be.” Each group reflected on how its Meeting could become its best self, how it might appear to outsiders, and how it might attract and keep new attenders. This question of outreach and inreach was also a strong theme in visits and phone conferences this Fall with Friends in Fresno, Inland Valley, Mexico City, and Orange County. At the SCQM Fall Fellowship, an interest group on outreach and inclusion drew Friends from multiple Meetings, and a teen-led activity on “Unity” sparked much laughter and contemplation. At the CPQM Fall Gathering, teen program clerks and adult allies led activities to promote awareness about transgender inclusion. What’s next? On the attached calendar, I draw your attention to a teen clerking workshop to be held on Friday, January 17th in San Francisco, before CPQM Winter Quarterly Meeting, led by members of the CPQM Teen Program Committee. Take note of the “Parenting Supported by Friends’ Beliefs, Testimonies and Practices” workshop offered by Quaker Center in February –a chance for your Meeting to use its Annual Pass to Quaker Center—, and remember that summer camp registration time will be here before we realize it! Stay tuned for the announcement of dates and locations for my Adult Allies to Youth workshops this spring. Also, I am working with a local planning committee to engage youth in the upcoming Friends World Committee for Consultation (FWCC) weekend to be held in Sacramento, March 14-16, where young adult Kylin Navarro (Strawberry Creek) will be co-leading a workshop on servant leadership with a member of Sacramento Friends Church, and Jim Anderson (Chico) and Stephen Myers (Sacramento) will be collaborating with evangelical Friends to put together an evening of music and singing. Keenan Lorenzato (Davis/Guilford College) will also lead a workshop on leadership in a parallel FWCC consultation in North Carolina in April. Registration is open and more information is available on the FWCC Section of the Americas website: scholarships and childcare are available, but space is limited, so sign up soon if you’re interested! I send much gratitude to the Friends who served as welcoming hosts during my recent visits. Please remember my open invitation to arrange for me to consult with your Worship Group, Meeting, organization, or committee. I’m excited to see some of you at the Western Young Friends New Year’s Gathering very soon (all ages welcome and registration still open)! Best wishes to you all in the New Year. Youth Program Coordinator Supervisory Committee members are: Sophie Brinker, Jennifer Carr, Mary Klein (co-clerk), Steve Leeds, Hannah Mackinney, Thomas Rios, Sandra Schwartz, Jim Summers (co-clerk), and Nathan Walker. One spot is open. January 17: Teen Clerking Workshop at San Francisco Meetinghouse– all PYM teens welcome. Sponsored by CPQM Teen Program Committee. Contact Adult Clerk, Kathy Runyan, kathyrunyan@hotmail.com. April (dates pending): Adult Allies to Youth Workshops, one in Northern California and one in Southern California, with the PYM Youth Program Coordinator and experienced adult allies to youth. April 19: Woolman Spring Clean Day. Ben Lomond Quaker Center Youth Camps (Ben Lomond CA) http://www.quakercenter.org/ . 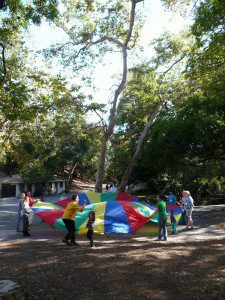 Quaker Center’s annual passes can be applied to camp! ○ Peace Action Camp: outdoor adventure and nonviolent direct action for rising 10th through 12th graders, July 27 – August 2, field location TBD. 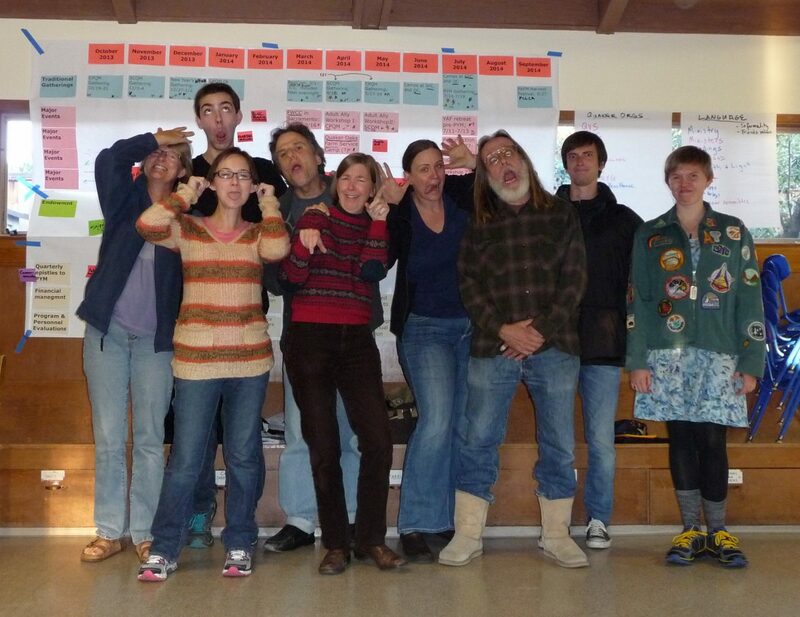 Camp Woolman (Sierra Friends Center, Nevada City CA): http://camp.woolman.org/dates-rates. July 11-14 (tentative): PYM Young Adult Friends Retreat: service, spirit, and fellowship for young adults and older adults of PYM. Tentatively to be held near Petaluma CA. Contact pym.youthcoordinator@gmail.com to get involved.